Students file into a polling place during the April graduate student unionization election. 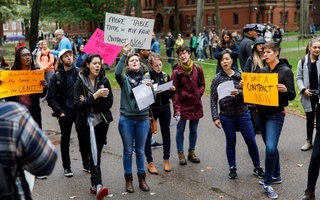 Harvard’s newly formed graduate student union selected the 13 members of its bargaining committee in an election held May 9 and 10—though only 10 percent of eligible voters cast ballots, prompting some to criticize what they called the union's failure to engage students. 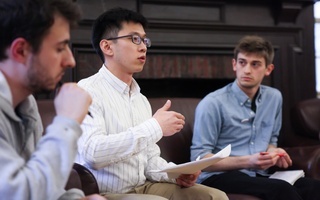 The bargaining committee is tasked with collecting feedback from members of the bargaining unit, setting the agenda for negotiations, and going to the bargaining table on behalf of Harvard Graduate Students Union-United Automobile Workers. The groupwill likely spend the next several months distributing and collecting bargaining surveys in order to gauge union members’ contract priorities. 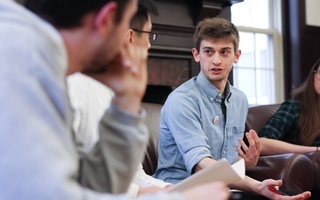 After more than half of eligible students have completed the survey, the committee can begin drawing up a bargaining agenda which they will present to University administrators. 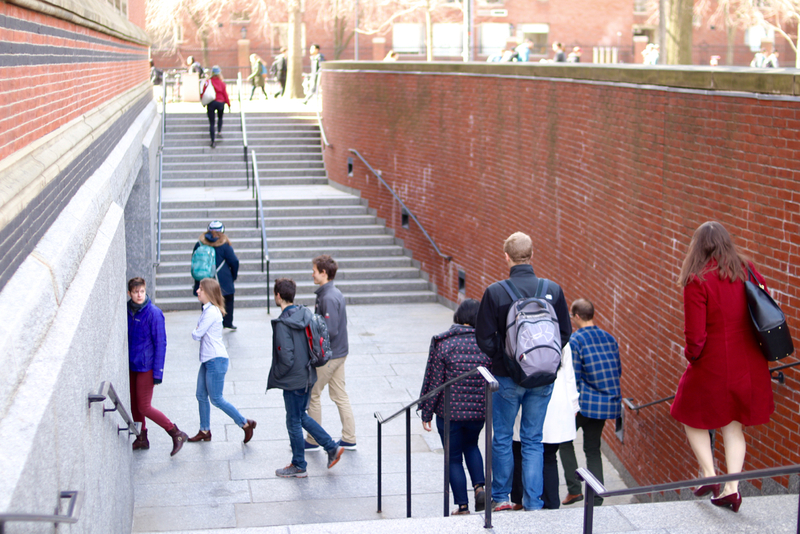 HGSU-UAW represents around 5,000 eligible graduate and undergraduate teaching and research assistants across Harvard’s schools. Five hundred thirteen members of the bargaining unit voted in the election, according to meeting notes from an HGSU-UAW executive committee meeting May 14 obtained by The Crimson. Ph.D. student Kayla Davis, who voted against unionizing with HGSU-UAW in April’s election, wrote in an email that she hopes bargaining committee members will make an effort to “hear more voices” before they head to the bargaining table. Davis particularly suggested the committee meet with graduate students and make executive committee meetings open to all members. “I’m concerned that only 10% of the student population considered in the bargaining unit voted for the bargaining committee and that these numbers make me think that the union is not doing a good job in being transparent about their actions or getting new students involved in their decision making,” Davis wrote. “If the union wants to represent all student workers then they need to work to hear all student voices and include them in the entire decision making process,” she added. In a previous email, Yumusak and Bloesch wrote that many of the students elected have “substantial experience as advocates on issues important to students.” Many of the committee’s members have previously organized with HGSU-UAW and take part in executive committee meetings.